Jim Sugars, Industry Sales Leader - Flat Products for The Bradbury Group of Companies, will be presenting at the South East Asia Iron and Steel Institute Conference. The conference will be held June 25 – 28 in Jakarta, Indonesia. 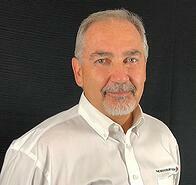 A common issue manufacturers face is providing flat material to their customers. What appears to be flat, is not. The problem is residual stress in the steel. Jim’s presentation, “When Flat isn’t Flat – Equalizing Internal Stresses Through Roller Leveling,” will cover newly developed methods of equalizing the internal stress allowing the strip to stay flat after secondary operations. By implementing the latest technologies, an operator can understand the strip condition more than ever before, providing end-users with the flat product they require. Setting the standard for the metal processing industry for 60 years, Bradbury has provided over 300 successful leveling applications around the globe. 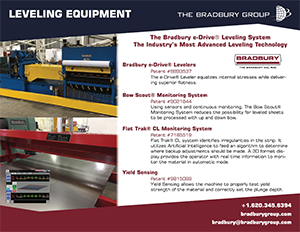 To learn more about Bradbury’s patented technology such as e-Drive® levelers, Flat Trak® CL Monitoring System, and Yield Sensing, call +1.620.345.6394, or click the image below to view the latest flyer. Headquartered in Moundridge, Kansas, the companies of The Bradbury Group are leading manufacturers and worldwide suppliers of roll forming equipment and integrated systems designed for metal-forming and coil-processing applications in a wide range of industries. Bradbury's product lines include custom designed roll formers, precision roller levelers, cut-to-length and slitting lines, insulated panel lines, and flexible manufacturing systems. The Bradbury Group manufacturers product lines that employ the latest technology and are built to provide unsurpassed value in their respective machine categories.